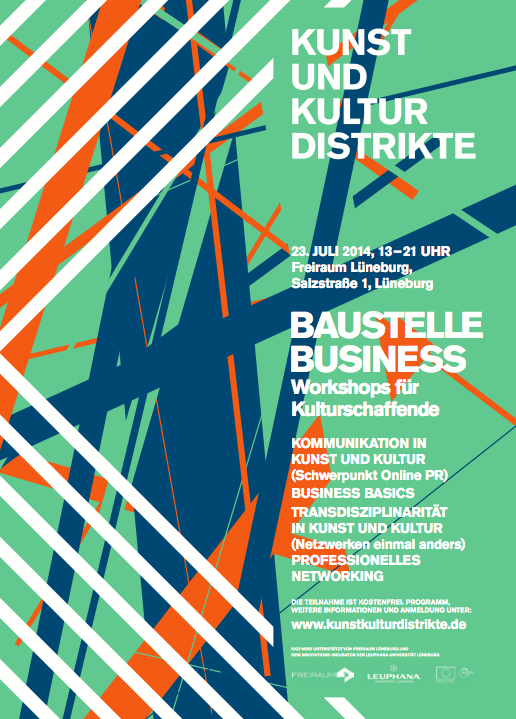 In sommer semester 2014, Antonieta Alcorta de Bronstein and me were offering a seminar on culture & event management at Leuphana University Lüneburg. The students were asked to invents, conceptualize and put into action an event specifically designed to support artists or self-employed members of the cultural and creative industries. The students had the freedom to decide on their more specific target group and the specific idea of support they would want to follow. 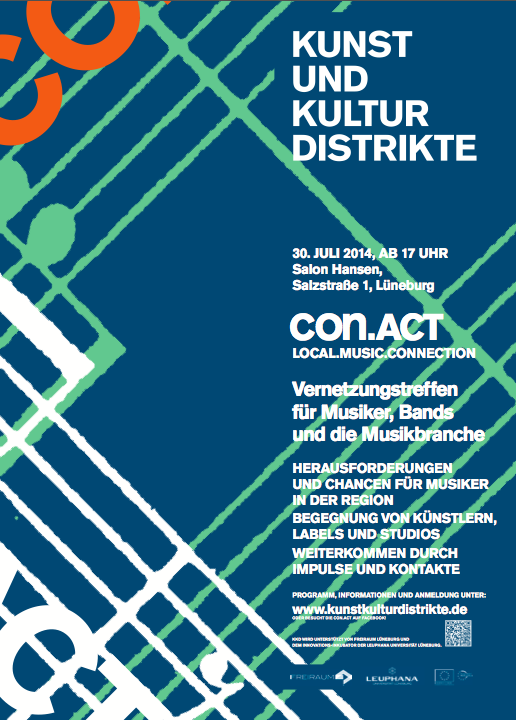 „con.Act“ was an event for young members of the music industries, newcomer bands and multiplicators of the scene. „Baustelle-Business“ (construction site business) is a workshop day providing information on business basic for free-lancers in the culture and creative industries taking place on October 9th, 2014. 2. 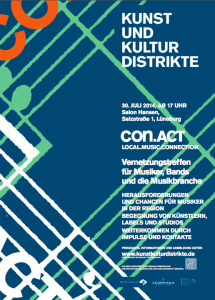 August 2014 | Filed under curation.